Dr. Bazil Kavishe can easily recall figures and statistics from projects and publications he completed over a decade ago related to how noncommunicable diseases impact Tanzanians. It’s impressive given the breadth of his career as a senior research scientist at the National Institute for Medical Research (NIMR), the largest public health research organization in Tanzania. Dedicating himself and his career to improving people’s quality of life has always been Dr. Bazil’s plan, though not as a research scientist initially. 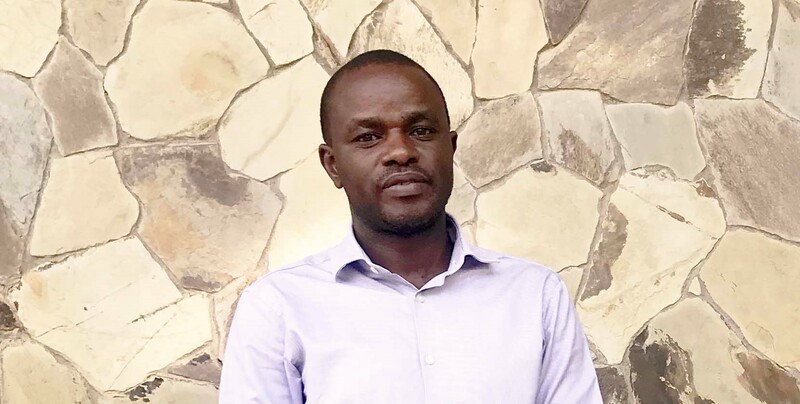 While completing a clinical internship at Muhimbili National Hospital in Dar es Salaam after medical school, he was inspired to pursue a profession dedicated to noncommunicable disease (NCD) research and prevention efforts. “I thought, instead of working at the hospital and treating people who are experiencing complications [from various NCDs], it would be a good opportunity for me to join a public health team and work on interventions and operational research that may improve the prevention aspects of these conditions.” The evidence he collects ultimately informs health programs and policies with the goal of eliminating the need for hospital care through effective prevention strategies, including public education, screening, and early diagnosis. Early on, Dr. Bazil and his team conducted a study to establish the burden of selected NCDs and HIV in Mwanza, Tanzania. Their research uncovered a higher prevalence of hypertension and diabetes among adults than previously thought (Read the full article). Surprisingly, they also discovered that a significant number of people aged 18-44 already had hypertension, a disease most often found in older populations. Concerned about these findings, Dr. Bazil led an independent research project to further explore the prevalence of hypertension in adolescents and children. In collaboration with colleagues in Uganda he conducted a survey in secondary schools and higher learning institutions in Mwanza and in Entebbe, Uganda. Touch Foundation worked closely with NIMR and Dr. Bazil on the needs assessment for our Rheumatic Heart Disease (RHD) program. His team worked in Tanzania’s Sengerema district in 2016 to determine the prevalence of sore throats and the availability of drugs and equipment needed to treat and diagnose strep throat. Screening those who recently suffered from a sore throat can help identify strep throat cases, which, if left untreated, can damage heart valves and result in Rheumatic Heart Disease later in life. This nearly entirely preventable NCD is the most commonly acquired heart disease among young people under 25 and is particularly dangerous to pregnant women. Using this research, Touch is strengthening the health system by upgrading equipment (i.e. ultrasound machines), providing supplies, and training healthcare workers. Hypertension is another dangerous and widely prevalent cardiovascular condition in Tanzania. Our Healthy Heart Africa program, is addressing hypertension in pregnancy, which is responsible for 16% of maternal deaths and many newborn deaths. Dr. Bazil sees Healthy Heart Africa as an important opportunity to educate more women on NCDs, the importance of preventative care, and lifestyle risk factors like diet. He also believes it is critical to train healthcare workers on how to provide high quality care. Through this program and our RHD program, we will screen 50,000 pregnant women for high blood pressure and heart conditions like RHD and connect them to treatment. This September, the 73rd session of the UN General Assembly brings together governments, civil society, and the private sector for the third High-Level Meeting to discuss the progress and action needed on NCDs. We believe that high quality research led by top Tanzanian organizations like NIMR as well as robust multidisciplinary partnerships are critical to addressing the burden of NCDs. Together, we can support health systems to better prevent, diagnose, treat, and manage NCDs so that all people­­—and especially youth­­—live long, productive lives.